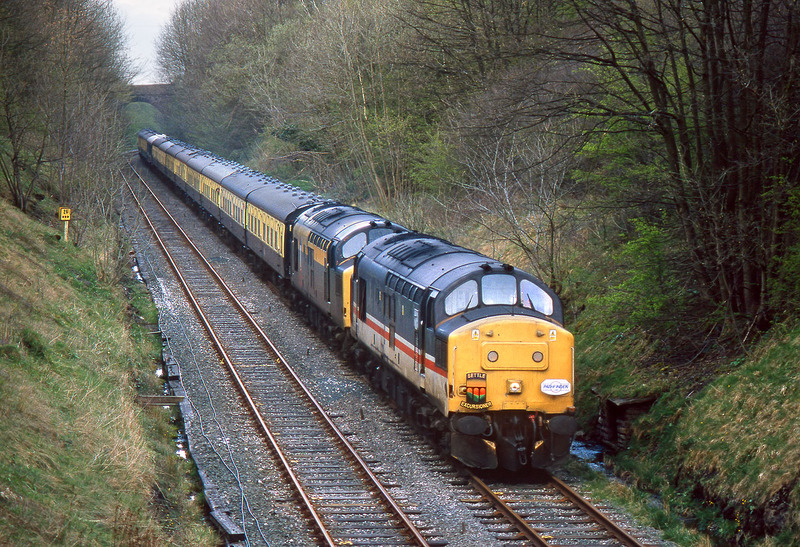 37152 & 37165 pass Gisburn on 17 April 1999 with the Pathfinder Tours 1Z44 12:24 Carlisle to Banbury 'Settle Excursioner' railtour. This was one of 37152's last workings, as it was withdrawn shortly afterwards. Happily however, after spending several years in store, it was rescued from the scrap line, and has now entered the world of preservation.